A collection of 20 lectures ranging across active areas of astronomical research. In the series, scientists, mostly British and American, and including three Nobel Laureates, present their work and perspectives on developments and trends in astrophysics during the last two decades. 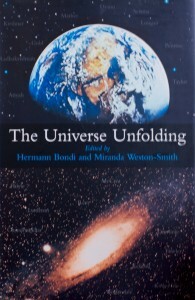 Buy The Universe Unfolding on Amazon.